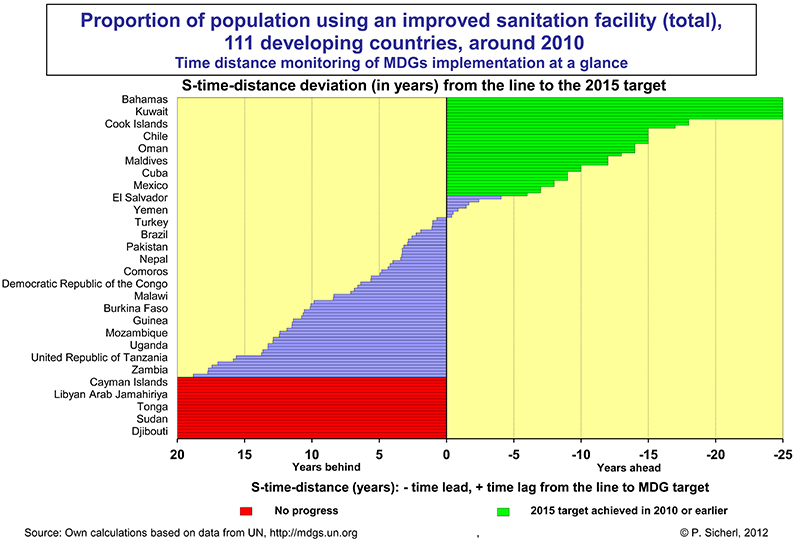 We have upgraded earlier visualisations in two ways. 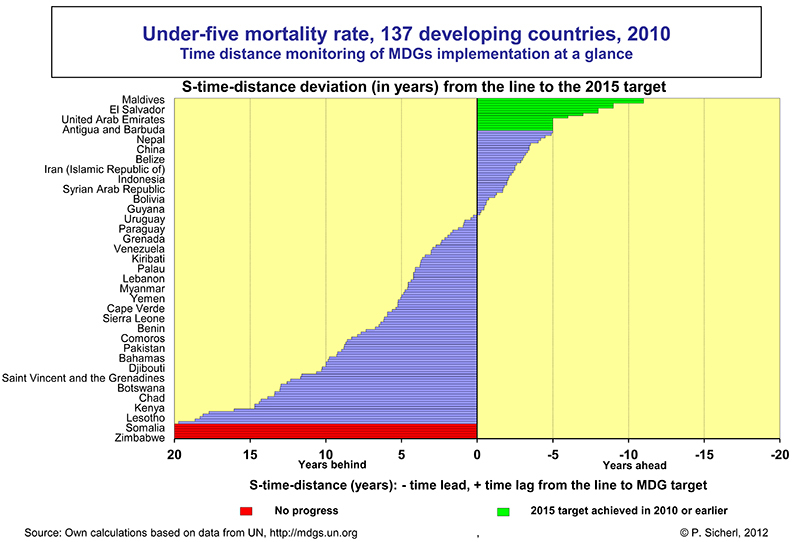 Firstly, by clicking on Gaptimer MDG Progress Chart the readers can reach 25 graphs thus providing user friendly access to better understanding and analysis. 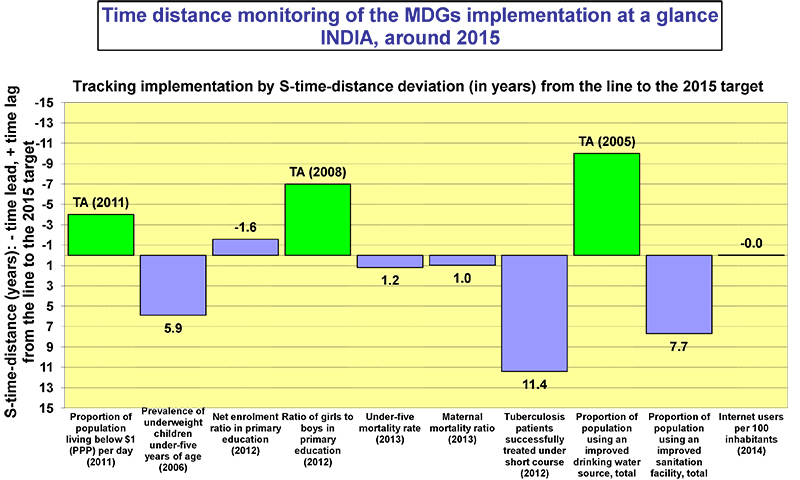 Time distances for 100 results for indicators and units are presented in a single summary table. 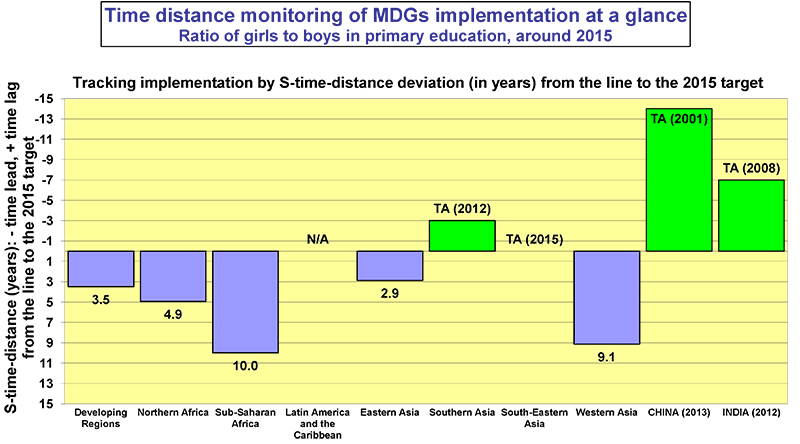 For more detailed analysis we have added 5 graphs and Excel files of calculations in which time distance lead or lag from the line to the respective MDG 2015 targets are shown for 111-140 developing countries respectively. 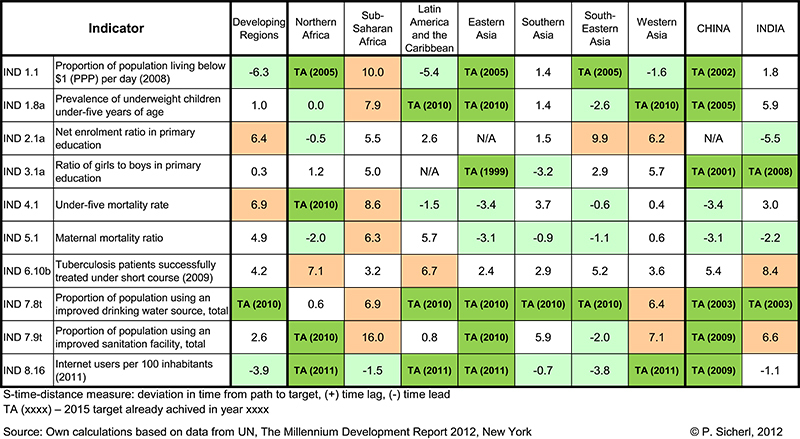 Secondly, interested readers can download the Excel files over the analysed period 1990-2010, analyse all individual country results and select results for those countries that they would like to compare with (e.g. 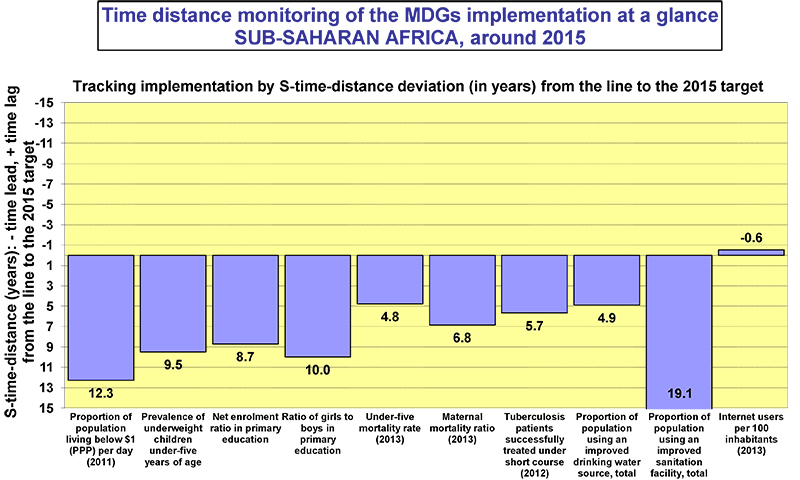 by regions like African countries or simply with neighbouring countries). 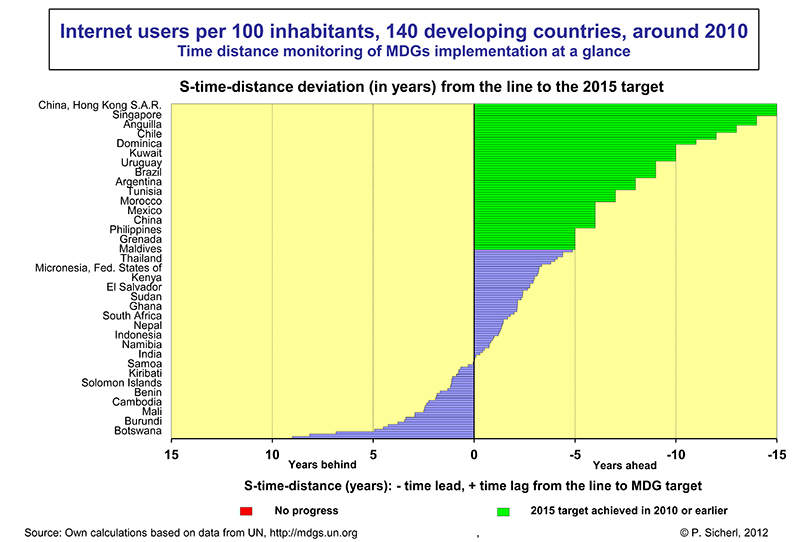 For charts of time distances for individual countries on the axis with the country names only every fourth name of the country could be displayed due to lack of space. 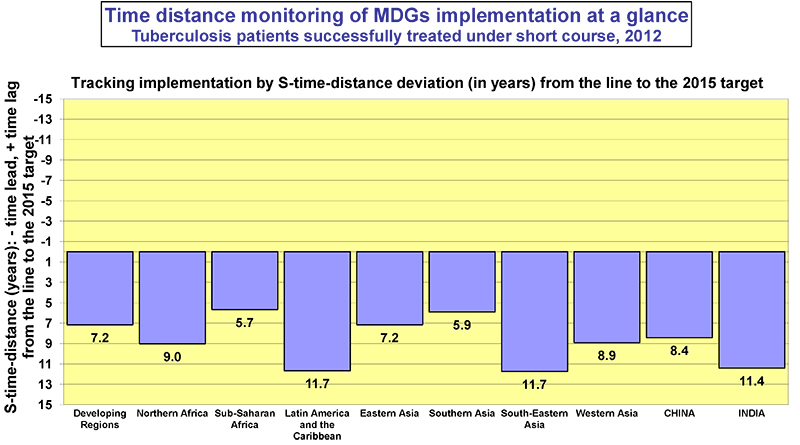 Excel files of calculations of time distance deviations from the lines to target for 111-140 individual developing countries for the 5 selected indicators are available below. 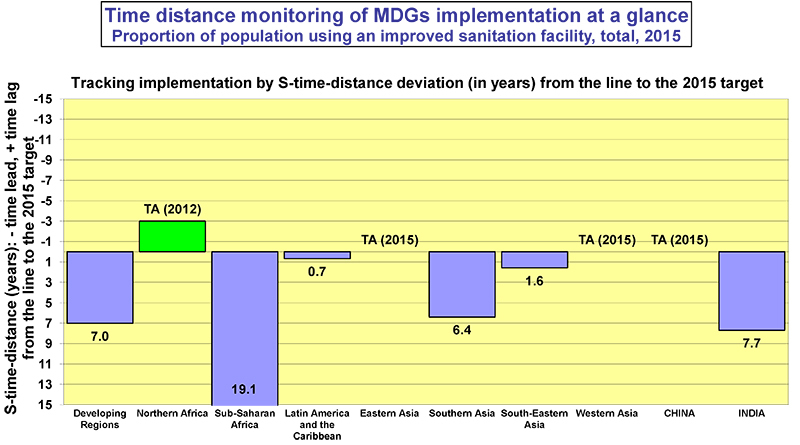 Thus a more detailed analysis is possible so that interested readers can download the files, analyse all individual country results and select from the results those countries that they would like to compare with (e.g. 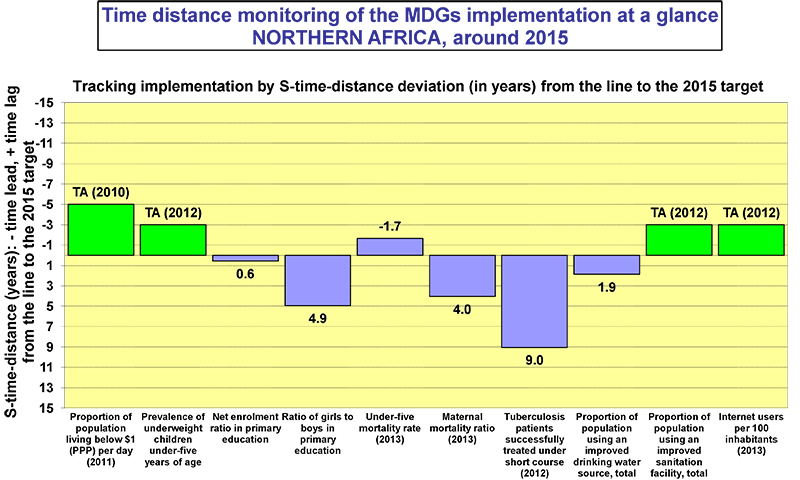 by regions like African countries or simply with neighbouring countries). 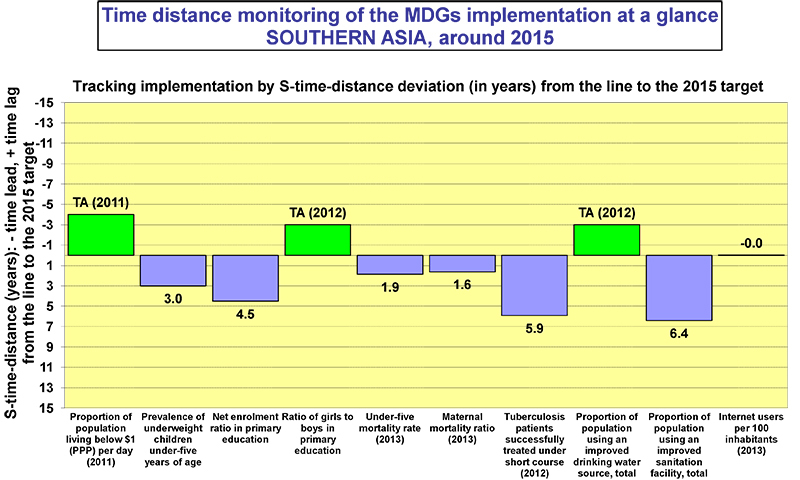 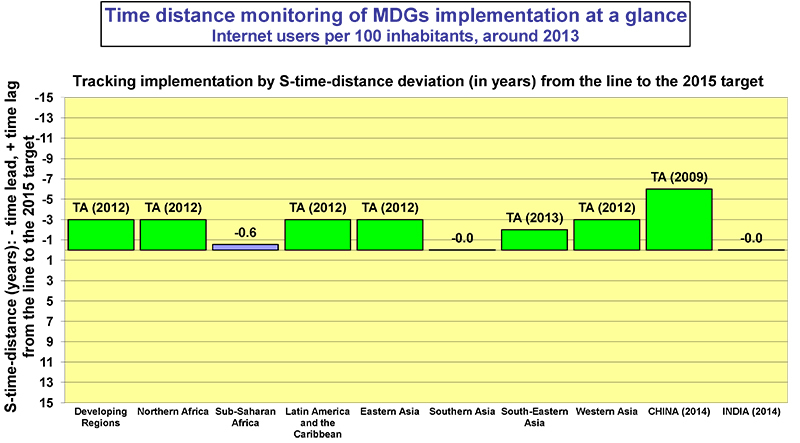 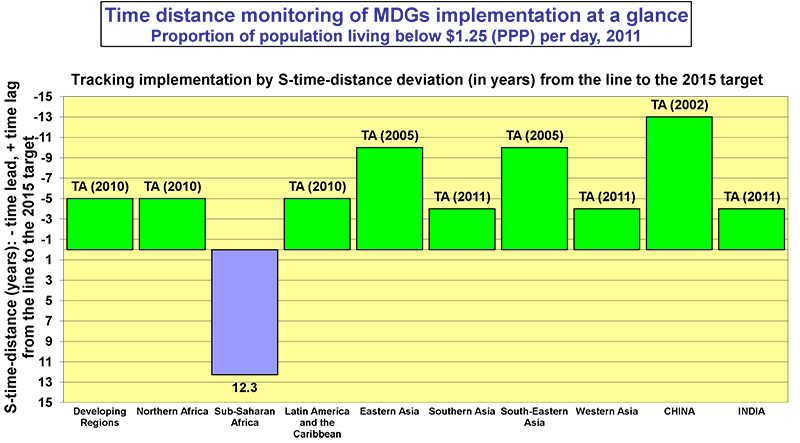 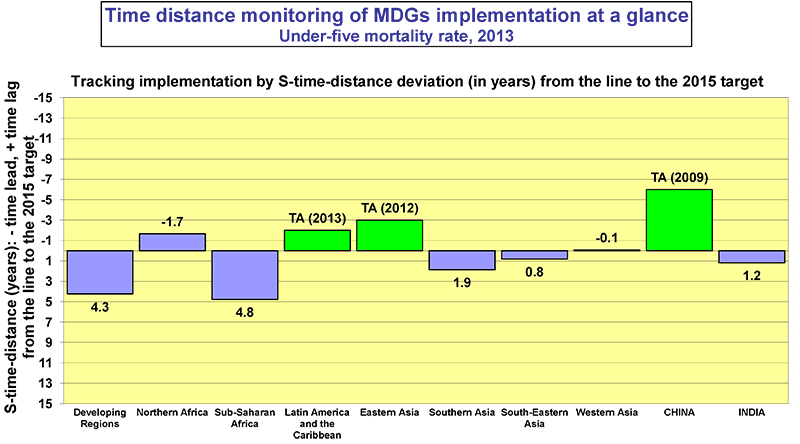 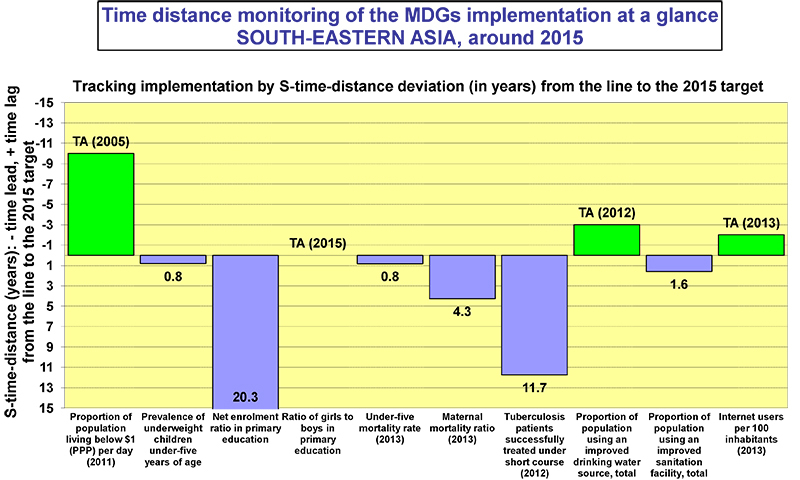 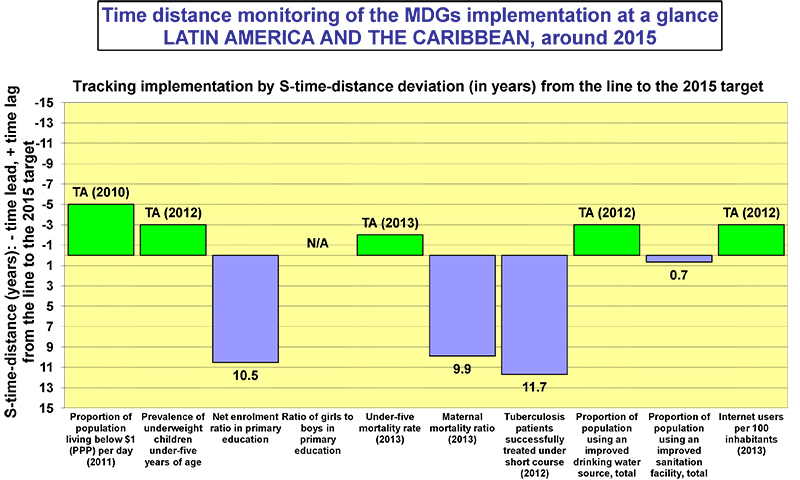 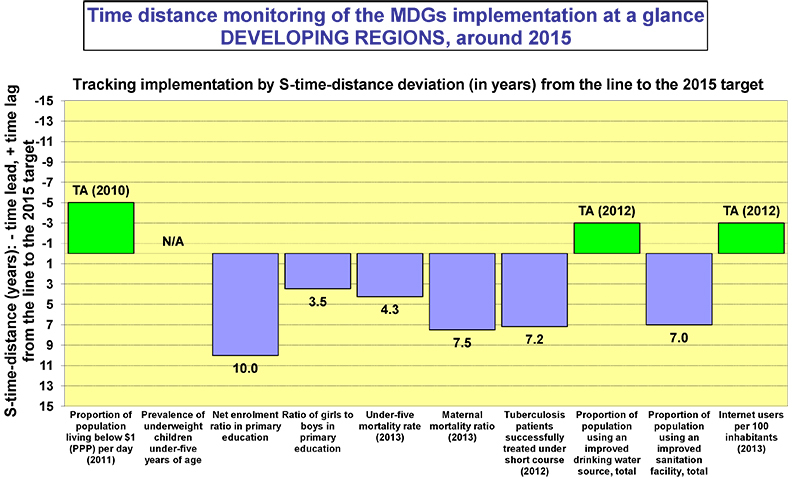 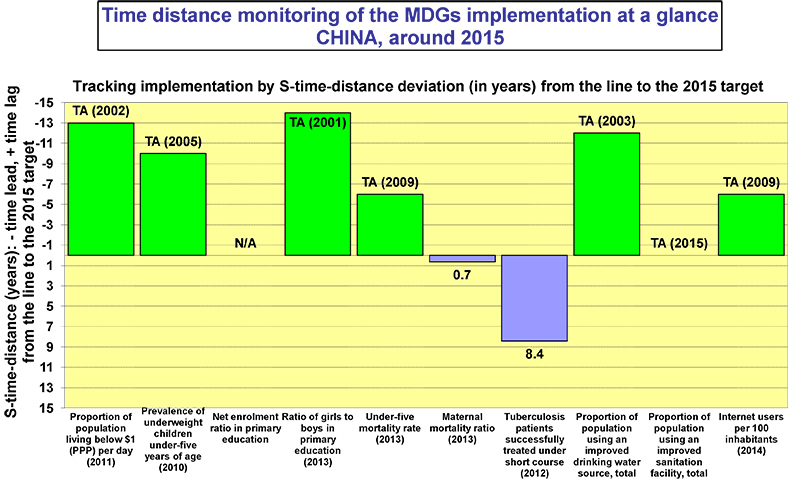 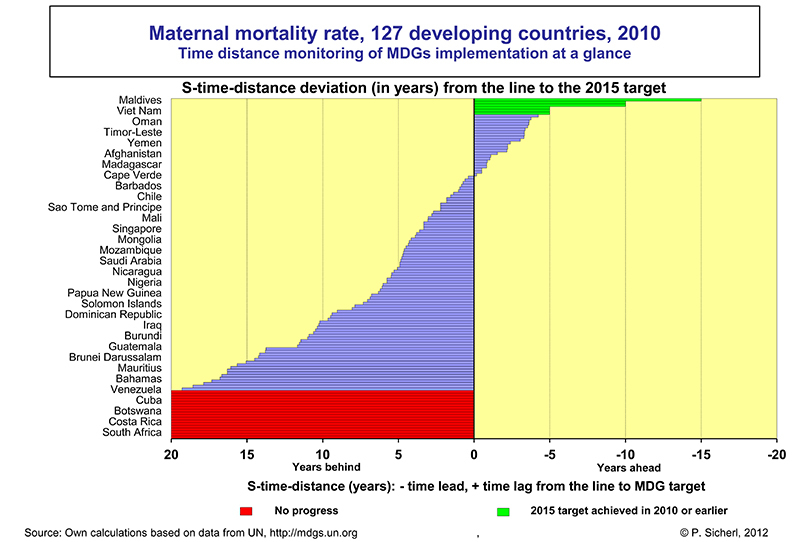 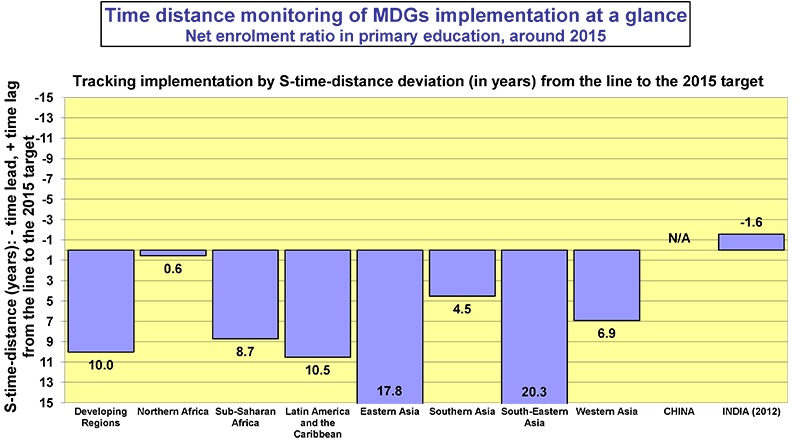 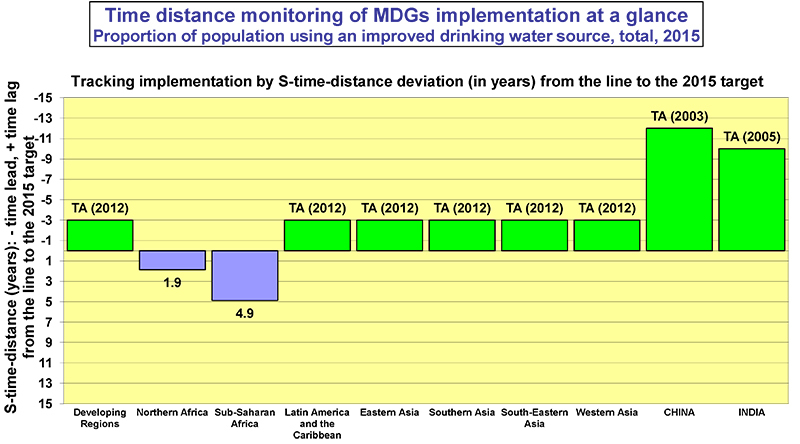 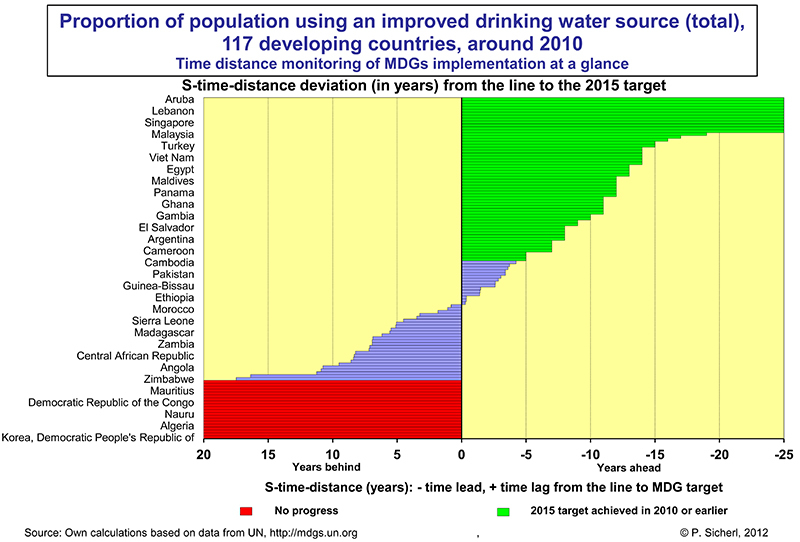 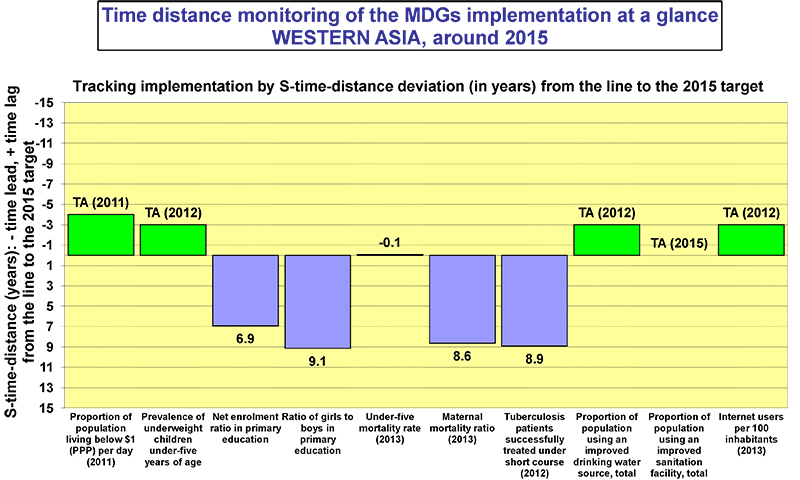 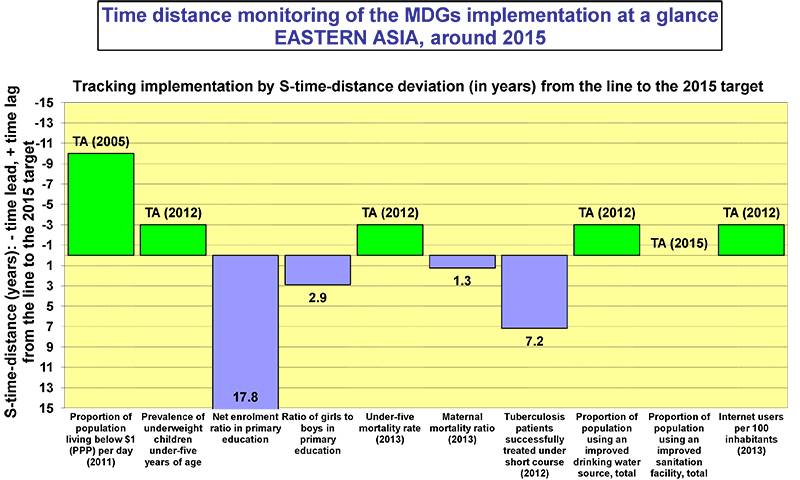 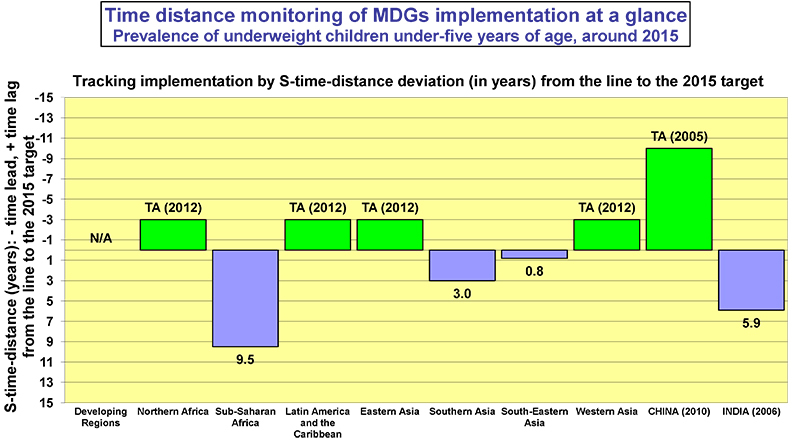 FULL TEXT: Time_Distance_Progress_Chart_of_MDG_implementation.pdf also on the OECD wikiprogress page.